tartup incubators and coworking spaces truly are places where magic happens. 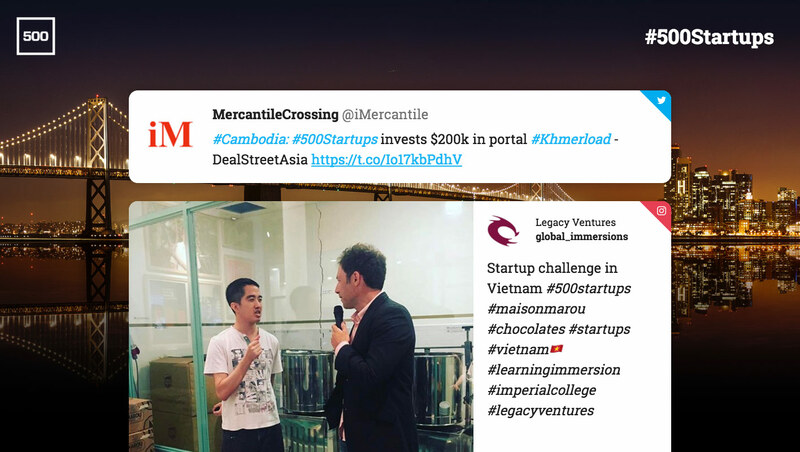 Enrich your business incubator website with a social media hub and track all of your portfolio companies’ social media conversations in one, beautifully designed, place! Use Wallery as an engagement tool during guest talks, classes, and demo days and let both the speakers and the audience ask questions, share their thoughts and network with each other. Open any event to a broader audience by embedding Wallery into your website! By doing this, you are transforming your web into a social media hub where people who couldn’t make it to the event can take part in ongoing conversations. Create a social media wall and display it in your lobby to entertain your guests, or in your office or coworking space to encourage social sharing and conversations among your workers — and between your workers and your fans and followers on social media. 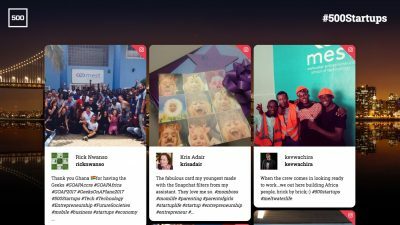 You can track multiple hashtags, keywords or even users and make sure you see exactly what is going on at any given time with each of your startups. Our Tiles layout, displaying the #500startups hashtag. 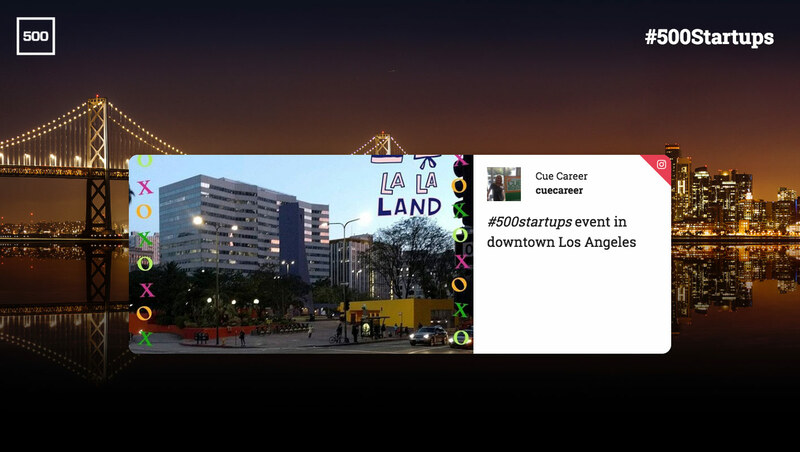 Our Single Item layout, displaying the #500startups hashtag. Our One Column layout, displaying the #500startups hashtag. We made creating your social media wall or a hub easy while making sure the results delight you every time. Thanks to our responsive design, Wallery will fit any website, screen or projector and will look beautiful in any setting. Assign a team member to moderate your walls and hubs and you can rest assured only relevant and positive content will make it on there! When needed, you can also use our auto-moderation feature, as well as our whitelists, blacklists, and profanity filters. As a premium user, you can use one account to create multiple walls and hubs. You can also track multiple hashtags, keywords, and users on a single wall! Wallery also lets you discover and display content from various sources. Currently, we support Twitter and Instagram, but more social media networks and websites will be supported soon. What’s better than discovering and displaying earned social media content on your wall? Well, adding amazing owned content into the mix, of course! Customize your walls in ways most other solutions don't offer. Display your owned content alongside incoming social media posts and make the most of your Wallery real estate.